ELEVEN ADVENTURERS GATHERED at Lentz Landing to paddle the Chippewa River on Saturday morning. CURE river adventures partner, Wild River Academy, led first timers and experienced paddlers on a three hour paddle. The excursion started at Lentz Landing and ended at the Lion’s Park in Watson. It was a perfect day for a trip down the river. The morning brought mostly cloudy but still warm weather. 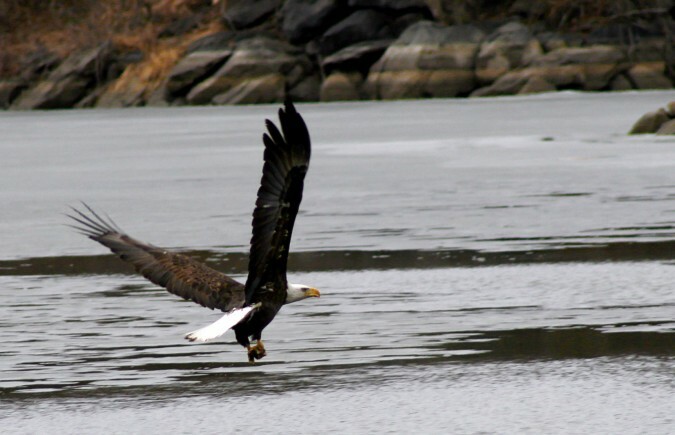 Bald Eagles soared across the river, and ducks swam as we paddled. We had many opportunities to catch glimpses of wildlife. This 8 mile stretch of the river was fairly easy. It provided a great first time paddle for the beginners and a relaxing paddle for those with more experience. But, due to the high water levels, a few spots were tricky to navigate. Everyone on the trip stayed dry until the very end when one canoe tipped as the people were landing and getting out. It brought a good laugh, an initiation for a first timer. She was able to get the full canoeing experience on her first trip. 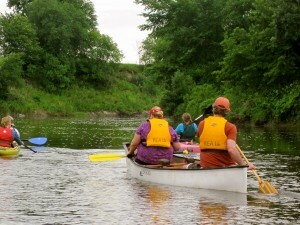 This week’s paddle down the Chippewa was a great opportunity to enjoy the river. I’m ready to go again. For upcoming CURE trips, click here.